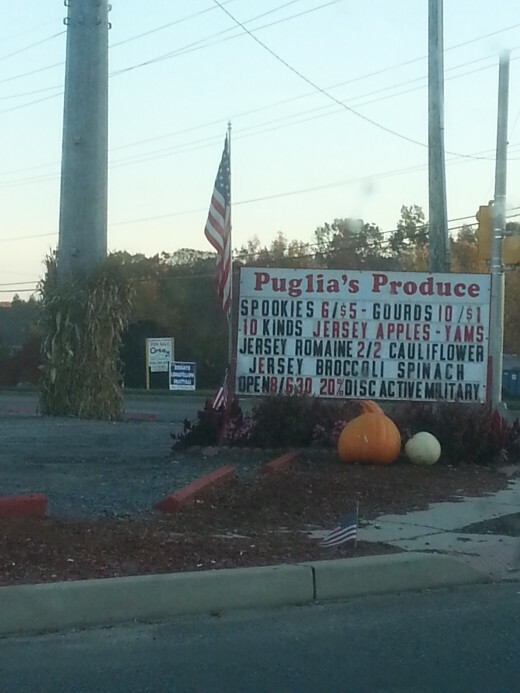 American Flag Flying at Puglia’s Produce. A small produce business that sits in a very good location. It sits on a corner lot at a traffic light. Puglia has good traffic on both roads and think about the traffic stopping at the traffic lights seeing all the great products and produce they sell. Puglia fly’s the American Flag at two different places on their property. Their produce corner is open from March to December. Puglia’s also gives a discount to active duty. Puglia’s sells fresh fruits, vegetables,flowers and Christmas trees. check their Fsacebook page here. You heard it before, location, location, location. A good or great location turn into sales. It is free advertising. traffic goes by and sees a business. Look a McDonald’s and Wal-marts. Those locations are not just randomly picked it is a science. Send me your business story along with a picture of your American Flag flying on your property. I will share on this site. We at American Flag Sighting ( AmericanFlagSighting.com) will not sell your information. We collect your story and picture to tell your story and inspire others to start a business. Giving us your picture and story will give us the permission to blog that information. We are not responsible for someone to take and use your information. I am on a quest, maybe you can help. I love seeing American flags flying. I just get chills of pride. I think it is great to see American flags flying in front of businesses big or small. I think of how the company got started, who owns it, who are the people behind it and what do they do. Service or product ?. Isn’t this one of the things that makes this country great? I am talking about, entrepreneurship. I am gathering a list in my travels of companies big or small proud enough to fly the American Flag.Here are a few businesses flying the American flag.